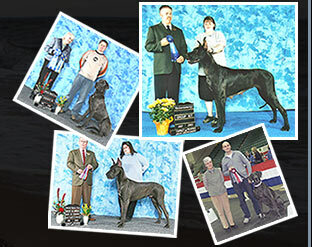 Our Tavernier Great Danes are bred for both beauty and brains, our record in the show and obedience ring proves it. Our dogs are family pets first, show dogs second. We are proud of not only our dogs but the owners and families they share their lives with.